When a baby is born, we right away notice the different features he was born with such as: the hair color (if there is any!) the eyes, who the baby resembles and so on. What we don’t notice right away, is that babies are also born with a temperament which is their individual differences in behavior. Since every child is born with a different temperament, we must always remember the need to discipline each child in a method that works for him. What works for one child, won’t necessarily work for another child. 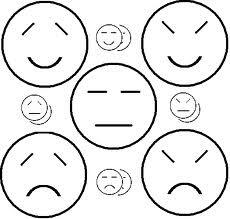 There are nine different factors that influence a person’s overall temperament. The combination of all these factors are the basis for a person’s nature. Very interesting information. We need to remember that every child is unique and special. Thank you for posting this! Thanks for your beautiful comment and for stopping by!